BHEL Bhopal Recruitment 2018 Online Applications are out. Bharat Heavy Electricals Limited Bhopal BHEL Fitter Recruitment 2018 is ready to fill 750 vacancies for the post of ITI Apprenticeship. So, eligible and interested candidates apply for BHEL Bhopal Recruitment 2018 online on or before to the last date i.e 03.02.2018. Bharat Heavy Electricals Limited (BHEL) Bhopal Recruitment allows ITI Apprenticeship Online Applications from willing candidates. BHEL Bhopal Jobs 2018 comes up with 700+ vacancies to fill with worthy aspirants. In accordance with Bhopal BHEL Fitter Recruitment 2018 Notification, the job role is ITI Apprenticeship with different Trades. 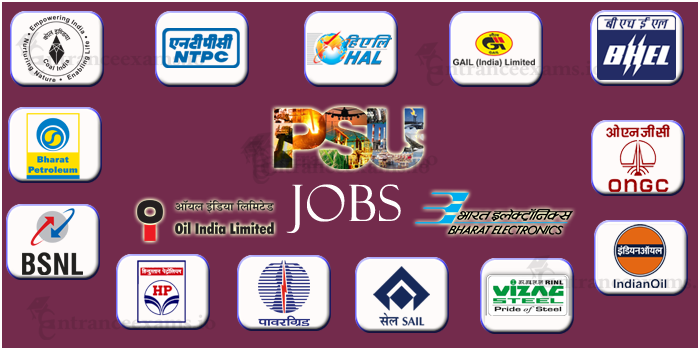 Trades in BHEL Bhopal Recruitment are Fitter, Welder, Electrician, Electronic Mechanic, Plumber, Machinist Composite, Computer. First of all, the aspirant has to apply for BHEL Bhopal Apprentice Jobs online. Filling of BHEL Bhopal Online Applications started on 04.01.2018. Later, Download the BHEL Recruitment 2018 Bhopal Online application form and send it to the Authorities. The last date to fill the online application form is 03.02.2018. The closing time to send BHEL Bhopal Recruitment 2018 Application forms is 10.02.2018. The interested and willing aspirant check the eligibility criteria and apply as soon as possible. Stay tuned for Entrance Exams for Latest Employment News. For every Public Sector Undertaking Jobs, Age and Education are the two important factors to satisfy from candidate side. they are as follows. For OC/General Category Candidates the age limit is 25 years as of 31.03.2018. For remaining aspirants 14 years is the age limit as of 31st March 2018. Check the Bhopal BHEL Recruitment 2018 Notification for more details. Candidate should pass in 10th. The aspirant should attempt राष्ट्रीय व्यवसाय परीक्षा (ITI) and should get 60% marks in general category & 55% marks for others. For a precise view of Qualification, kindly check the BHEL Bhopal Recruitment 2018 Notification. Beyond age and qualification, few more details such as application fee, important dates, salary offered for Bhopal BHEL Jobs 2018 listed down Check them out. The aspirant who selected in BHEL Bhopal Recruitment 2018 will get an amount of Rs. 7982 every month. In accordance with BHEL Bhopal Notification 2018, Selection Process for Bhopal BHEL Jobs 2018 depends upon the number of applications received. Written Test or Merit Basis. The willing aspirants check the eligibility for Bhopal BHEL Recruitment 2018 and apply online. The last to fill BHEL Fitter Recruitment 2018 Online Application is 03.02.2018. Later the aspirant has to send Bhopal Bhel Recruitment 2018 application form to Authorities before 10.02.2018. Here we gave simple steps for BHEL Recruitment 2018 Application Process. Check it. How to Apply for BHEL Bhopal Jobs 2018? First of all, visit the site www.bhelbpl.co.in which is an official website. Read carefully before filling BHEL Bhopal Jobs 2018 Online Application Form. After filling the form, Download it and send it to the BHEL Bhopal Recruitment 2018 Authorities. BHEL Recruitment 2018 Bhopal Authorities given below. Check BHEL Recruitment 2018 Bhopal Notification for clear details.